Two of my favorite parts of the ceremony are the gun salute and playing of Taps at the end of the ceremony. 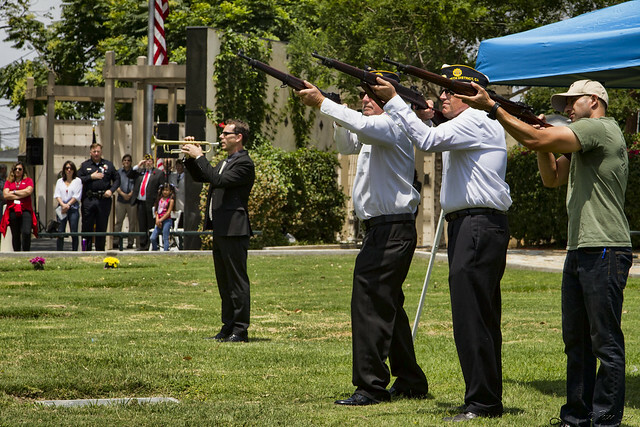 The crew of veterans who perform the gun salute was smaller this year, but no less effective. 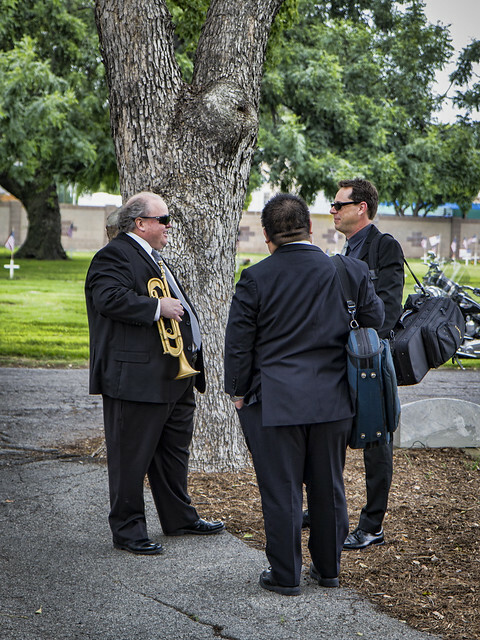 The crew of trumpeters has remained the same for several years, and they enjoy a few minutes of cameraderie before the ceremony starts.